A noir murder mystery that generates a different crime every time! Battle horrific aquatic monsters to escape Hell! Kade's story comes to a close...or is it a beginning? Battle roosters to the death...for money! A computer system becomes sentient and kills it's creators! Identify the murderer on a train without getting killed yourself! A point n' click adventure about eating humans! When an alien shapeshifter poses as human, who will you trust? Raise roosters and train them to win brutal cockfights! Like Metal Gear but with ANTS! Do you like your children medium or extra crispy? You wake up in a strange industrial complex surrounded by monsters and dead bodies. You decide what happens next. Faceman returns in even more weirdness!!! Suicide becomes Homicide. Kill yourself to kill your enemies! Can you recover your sunken motor and survive the onslaught? itch.io Community » Game Development » Release Announcements · Created a new topic Can you survive a ride on "The Murder Express"? A man was murdered on a train full of serial killers, but only one of them is guilt of the crime. As a lone inspector, it's up to you to investigate the crimescene, search for clues and interrogate suspects to figure out who dunnit. But watch your back! When the lights go out, the killer could strike from the shadows, and your goose is cooked! 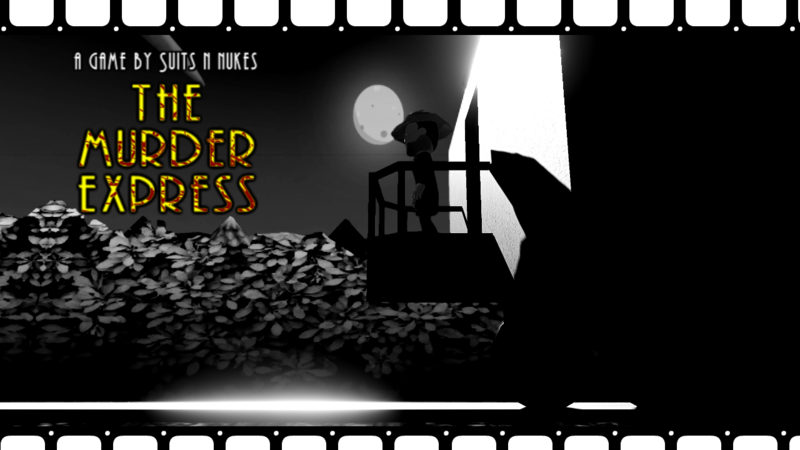 A noir themed detective story where each playthrough is different, will you survive a ride on the Murder Express? Find out for free today! You might be interested in trying the 3D version -- now with more fish!